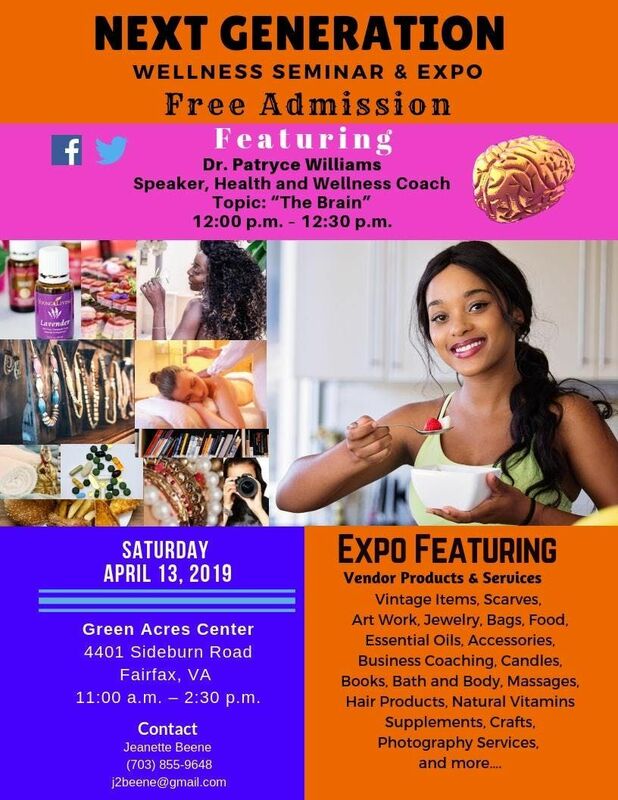 Free Admission to the "Next Generation Wellness Seminar and Expo from 11:00 am- 2:30 pm. 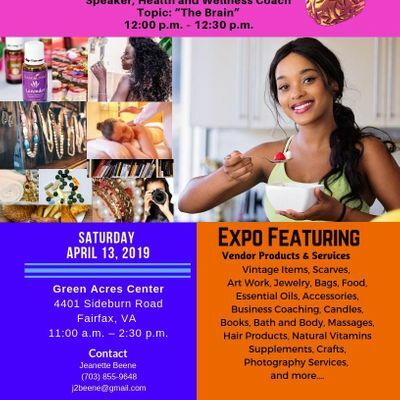 At 12:00 noon seminar facilitated by Dr. Patryce Williams on "The Brain". Held at the Green Acres Center at 4401 Sideburn Rd. in Fairfax, VA. Market Place features 22 local vendors: Vintage Items, Jewelry, Gift Baskets, Essential Oils, Accessories, Massages, Scarves, Bath and Body Products, Crafts, Natural Vitamins and Supplements, Hair Products, Art Work, Candles, Food, Photography Services, Financial Services, Business Coaching, etc.